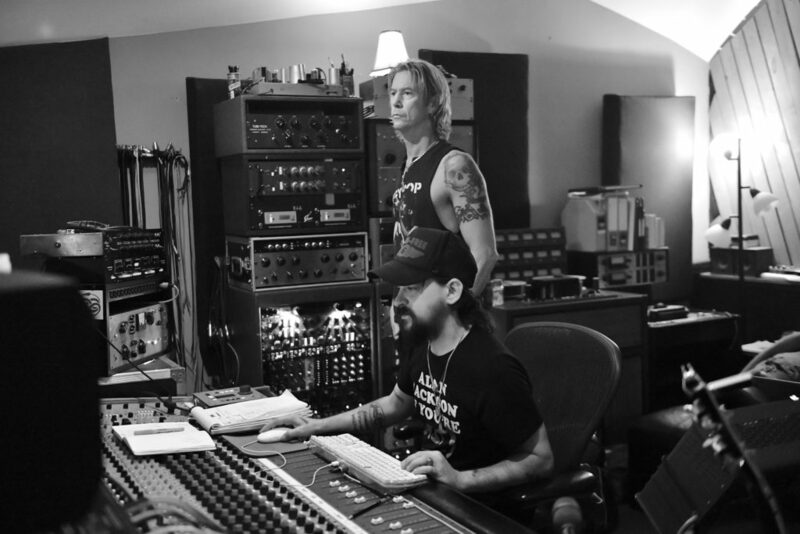 Duff McKagan in the studio with producer Shooter Jennings. (TRR) – Guns N’ Roses bassist Duff McKagan is putting the finishing touches on a brand new studio album. The legendary rocker is working with producer Shooter Jennings on the project. The pair recorded the LP at Station House Studio in Echo Park, CA. Back in 2015, McKagan released his book, How To Be A Man (And Other Illusions). It was published by Da Capo Press and went on to become a best-seller. Tagged Duff McKagan, Guns N' Roses, shooter jennings.